On August 24, the Washington department of Financial Institution joined forces with 12 other states, urging Congressional leaders to provide clarity on regulations for serving state-licensed cannabis businesses. This request to Congress is an act of persistence – as it is not the first time this action has been implored. Governors, state Attorney Generals, and state banking associations have previously requested Congressional clarity, and permanent solutions, for banking issues in the industry. All prior attempts have failed. In the August 24 letter, authored by Robin L. Weissmann, Secretary for the Pennsylvania Department of Banking and Securities, 13 state banking regulators requested Congress to develop legislation that creates safe harbor for financial institutions to service the cannabis businesses that are operating legally under state law. The letter emphasizes: as more states legalize cannabis for medical and recreational purposes, the importance for financial institutions to be able help these business clients protect their assets will continue to grow. Without this legislation, this “cash and carry” industry will continue to raise concerns regarding public safety, tracking the flow of funds, and utilizing the services of traditional financial institutions. Hopefully this plea will be the catalyst to finally define this landscape for both financial institutions and cannabis businesses. The current banking situation is unsafe and the federal government must develop a permanent solution. The Cannabis team at JDSA Law is committed to following these developments and will keep you updated as events continue to unfold. The objective of the program is to allow cannabis businesses to come into compliance with ownership and financing regulations without fear of license revocation. In late June, the Washington State Liquor and Cannabis Board (WSLCB) proposed a “Hidden Ownership Amnesty Program” for licensees with undisclosed true parties of interest. By statue, there is no warning issued for a true party of interest violation. The only remedy available to the WSLCB is the revocation of the license. The objective of the program is to allow cannabis businesses to come into compliance with ownership and financing regulations without fear of license revocation. Who Is Classified as a TPOI? Each TPOI is vetted and investigated by the WSLCB to ensure they pass a federal background check, and to ensure funds were raised in the state by legal means. Only vetted TPOI’s can control daily business operations and interests. Will the Amnesty program be approved? Additional details are still being discussed. JDSA Law is committed to keeping you up to date, our Cannabis Law team will update this blog as developments continue to unfold. Last month, the U.S. Food and Drug Administration (FDA) approved the first drug to utilize the marijuana plant-derived ingredient cannabidiol (CBD). This medicine has been approved to treat seizures associated with two severe forms of epilepsy in patients aged two or older. However, it cannot be sold in the U.S. – yet. The medication, Epidiolex, developed by British company, GW Pharmaceuticals, can’t be sold until the Drug Enforcement Administration (DEA) changes how it classifies CBD. Nonetheless, this approval from the FDA is a major milestone in bringing safe, effective cannabinoid-based medications to patients. And it offers new hope, especially to parents of children suffering from certain devastating neurological disorders. GW Pharmaceuticals, has been working for decades to get this medication approved in the U.S. This approval comes after a four-year series of trials showing the benefits of CBD in relieving seizures in patients with Lennox-Gastaut and Dravet epilepsy. As an oral medication, Epidiolex is expected to be safer and more reliable than CBD products currently available through marijuana dispensaries or the Internet. CBD is a compound typically found in very small quantities of marijuana. It has been of interest to scientists and the public for several years, due to its anti-seizure properties and other possible therapeutic benefits. Will the DEA change the CBD classification? Stay tuned to find out. JDSA Law is committed to keeping you up to date, and will update this blog as developments occur. On June 28, the U.S. Senate passed its 2018 Farm Bill that includes provisions to legalize hemp as an agricultural commodity for the first time since the 1930’s. Senate Majority Leader Mitch McConnell initially proposed the Hemp Farming Act of 2018 as a stand-alone bill, but eventually rolled it into the larger farm legislation to ensure a greater chance of success. The 2018 Farm Bill was approved by the full Senate with a resounding 86-11 vote. The farm legislation from both the Senate and House will now move to a joint Congressional committee that will merge both chambers' bills into a single piece of legislation to be sent to President Trump's desk. Although the future of the bill's hemp provision is uncertain, all indications are that Mitch McConnell will fight hard for the survival of his hemp proposal. JDSA Law is committed to staying up to date on the progress of the Farm Bill, and will post updates to the JDSA Blog as this legislation changes. 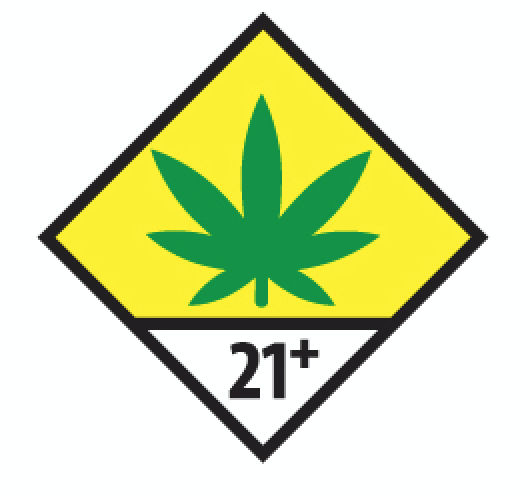 The Washington State Liquor and Cannabis Board (WSLCB) recently adopted new cannabis “Packaging and Labeling Requirements” that will be effective January 1, 2019. The requirements were updated with the goal of making labels easier to read, easier to understand, and less burdensome to businesses. Licensees are allowed to ‘phase-in’ the new requirements to minimize impacts and costs, however, all label changes must be in effect by January 1, 2019. Listed below are some of the packaging and labeling changes. However, cannabis licensees are encouraged to review the entire revised law as this section has been significantly enhanced. Producers and processors may offer accompanying materials, lab results, pesticide use, and other information related to cannabis production and manufacturing, via an internet link, web address or QR code. Previously, this information was to be provided in print format to the retail stores. As part of this rulemaking project, the WSLCB is working to create more resources and guidance materials — for packaging and labeling for licensees — as well as process improvements to the cannabis-infused edibles product, packaging and labeling review program. JDSA Law: We stay up-to-date on the changes to cannabis rules and regulations. If you have questions, contact Lindsey Weidenbach for assistance. Cannabis and Federal Intervention: Could The End Be Near? The STATES Act of 2018 was introduced to ensure each State has the right to determine, for itself, the best approach to marijuana use, sales and enforcement within its border. Forty-six U.S. states have laws permitting, or decriminalizing, marijuana or marijuana-based products. Each of these states has developed their own approaches to marijuana enforcement. As more continue to consider updates to their marijuana regulations, it has become crucial that Congress take action to safeguard the states’ enforcement autonomy. On June 7, 2018, the first bicameral, bipartisan legislation was introduced that could end the threat of federal intervention and prosecution – in states that regulate marijuana use and sales. This legislation appears to have Presidential support, and now Congress must do its part by moving this legislation forward. The Strengthening the Tenth Amendment Through Entrusting States (STATES) Act of 2018 was introduced to ensure each State has the right to determine, for itself, the best approach to marijuana use, sales and enforcement within its border. This bill also contains common-sense guardrails to ensure states, territories, and tribes, which regulate marijuana, do so in a manner that is safe and respectful of the impacts on their neighbors. What Does The Act Not Do? Could this be the first step to the end of federal intervention? Stay tuned. Lindsey Weidenbach, at JDSA Law, is closely following this developing legislation regarding marijuana use and sales, and will update the JDSA Blog as the topic unfolds. Yes, the Feds are coming, but there is a positive side to their approach. When federal enforcement of the cannabis regulations is mentioned, there is most often a negative reaction: fear of raids, property seizure and court battles. Yes, the Feds are coming, but there is a positive side to their approach. Federal enforcement has begun, and it is focusing—exclusively—on the black market. This is the positive side to the flurry of cannabis enforcement, and the legal, regulated cannabis industry is benefitting. In the Seattle area, U.S. authorities arrested several illegal, unlicensed cannabis growers in an investigation into what is said to be an international black market cannabis operation financed by Chinese money. Authorities are still searching for the two men who are suspected of leading a crime ring that used hundreds of thousands of dollars wired from China to illegally grow cannabis in 17 homes around Washington State, and then shipped the cannabis to New York's black market. Hundreds of federal and local law enforcement agents raided 74 houses in the Sacramento region – breaking up a network of illegal cannabis growers financed by dark money from China. In Sacramento, federal and state authorities announced a joint effort to target illegal cannabis grows, with $2.5 million in federal money backing the effort. The federal Drug Enforcement Administration (DEA) and Department of Homeland Security are leading the efforts to crack down on the cannabis black market, and are supporting the state-legal cannabis industry. Arrests are being made to those who violate cannabis licensing laws, in an effort to protect the investment and businesses who are following state law. The black market is a competitor of the legal, regulated market, and the elimination of the black market is necessary for the legal, regulated market to thrive. While it may seem the majority of information we hear regarding federal involvement in cannabis is in a negative light, on the brighter side, the U.S. Department of Justice is enforcing the legalization rules and regulations established in the nine legal cannabis states by shutting down the black market. Enforcement can help legitimize the industry, and any assistance to eliminate the black market is federal money and time well spent. For additional information on changes that impact the cannabis industry, check out the JDSA website regularly or contact Lindsey Weidenbach with questions. Regardless of what provider you use, it is important to consider six primary types of insurance coverage for your operations. It’s no surprise. New issues arise practically daily for cannabis business owners and they often feel like an uphill battle. While this industry is still prohibited on a federal level, cannabis business owners have traditionally looked to smaller or state licensed resources for support finding a friendly approach. Insurance agencies may be opening doors, rather than closing them. As the number of cannabis businesses in need of coverage has grown, a handful of larger carriers, most notably Germany's Hannover Re, have begun offering insurance products tailored to the cannabis industry. Regardless of what provider you use to obtain insurance for your cannabis business, it is important to consider purchasing six primary types of insurance coverage for your operations. For those cannabis businesses that transport products, it is essential to obtain commercial auto coverage. Cannabis-specific commercial auto policies extend many of the same benefits as traditional auto policies, such as accident coverage and rental reimbursement but many traditional auto insurers will refuse coverage to businesses that haul cannabis. For companies that do provide commercial auto policies to cannabis business owners, pricing for these policies may differ depending on the type of cannabis business (processor vs grower vs retailer) you are. Make sure your employees are not use their own vehicles to transport product because their personal insurance will not cover the transportation of cannabis. Every cannabis business should consider purchasing product liability insurance as they can be brought into litigation with the wide range of legal exposure tied to their products. The industry is vulnerable to product liability litigation due to the numerous different cannabis strains and derivative products of varying potency available for purchase. When reviewing such a policy for your business, it is critical to review any exclusions to ensure the products you provide are covered. Cannabis businesses are not exempt from the threat of cyberattacks and should consider purchasing specialized cyber insurance. Data obtained from seed-to-sale tracking is a vulnerability to cannabis businesses as data hackers are known to target customer’s personal information. We have seen this play out in Washington State many times. In addition to the seed-to-sale information, any kind of ‘trade-secret’ stored on company computers may be vulnerable as well to cyber threats. Cyber policies for cannabis businesses can be customized to cover a wide range of risks to protect this sensitive information. As cannabis in an emerging industry, robust directors and officers (D&O) insurance is recommended to shield executives and board members against potential claims by disgruntled investors and others. For those individuals looking to join the board of directors of a cannabis business, it is encouraged to review the company’s D&O policy to ensure the insurance is sufficient and has a high policy limit. Indoor growers may be able to secure insurance over their crop. Coverage includes crop failure due to bugs, natural disaster and mold. We have not seen the same coverage for outdoor producers but it may be coming. These are just some of the types of insurance cannabis owners should consider. There may be additional insurance needs depending on the type of cannabis establishment you operate. If you have questions or need advice regarding this—or maintaining a compliant cannabis business—contact me, Lindsey Weidenbach, at JDSA Law for assistance. These marijuana growers in Oregon must begin tracking their cannabis from seed-to-sale. In a recent memo distributed by the Oregon Liquor Control Commission, medical marijuana growers in Oregon will be required to use the Oregon Cannabis Tracking System (CTS) starting July 1, 2018. This change in tracking, outlined in the Oregon Senate bill 1544, stipulates for all Oregon Medical Marijuana Program (OMMP) medical marijuana grow sites—with three or more patients—to begin using CTS tracking by the July 1 deadline. Medical marijuana grow sites limited to two or fewer growers and two or fewer patients are exempt from using CTS. More than 1800 licensees in Oregon’s Recreational Marijuana system are already using CTS which tracks marijuana and marijuana products from seed to sale. Beginning in July, these marijuana growers must begin tracking their cannabis from seed-to-sale to ensure the marijuana they grow for medical marijuana patients is tracked and reported. This requirement is most likely a response to Oregon’s documented issues with the black market, in tandem with Attorney General Jeff Sessions’ repeal of the Cole Memo. Community outreach session administered by the Oregon Healthy Authority (OHA) for registered medical growers to help understand reporting and tracking requirements for all grow sites. Information session for registered medical marijuana growers, processors, and dispensaries on the requirements for using CTS. These sessions are administered by the OHA and the Oregon Liquor Control Commission (OLCC). Workshop for OMMP registrants explaining how to use CTS. GSAs will be allowed to sell up to 20 pounds of marijuana into the OLCC regulated recreational marijuana system in a 12 month period. GSAs must provide proof of legal access to water before the marijuana can be sold into the OLCC market. This sell-in option applies to a grow site as a whole, so a grow site with four growers would only be allowed to sell a total of 20 pounds into the recreational market, not 80 pounds. In July 2018, the OLCC will begin auditing OMMP grow sites, processors, and dispensaries subject to tracking in CTS. Later in 2018, OLCC inspectors will begin visiting OMMP grow sites required to use CTS to verify CTS tracking information, check to make sure CTS is being used properly, and look for any other violations. However, because OHA regulates the OMMP program, OHA will determine any enforcement based on investigations conducted by OLCC. For additional information or to learn about the informational sessions, visit the OMMP website. If you need assistance or advice, contact Attorney Lindsey Weidenbach, at JDSA Law. As long as the transaction doesn’t involve bank financing, law firms with real estate experience and licensed Limited Practice Officers (LPO) can close real estate transactions. The title companies around the country were advised to stay away from the cannabis industry. JDSA continues to stand by the industry to assist with creative solutions to these hurdles. On April 18, 2017, national title companies such as Fidelity National Title Insurance Company, Chicago Title Insurance Company and Alamo Title Insurance received Underwriting Bulletin No. 2017-RC-04, closing yet another door to the cannabis industry: title & escrow. This 2017 mandate from title & escrow affects anyone who may want to purchase property and rent space to cannabis operations – therefore, this applies to those with no tie to the industry, other than a something as simple as a lease. After the Bulletin was first released, title insurance was available with the inclusion of an exception related to violation of federal law. The current practice is to disallow the issuance of title insurance altogether. Additionally, title companies used to provide a marijuana buyer with a list of the subject property’s known encumbrances. However, as of recent, even this request has been denied. We were told that the possible reason for the title companies’ sudden change of heart was because of Sean Spicer’s and the Attorney General Jeff Session’s comments on marijuana, and the current administrations unpredictability as to the topic. This fear of federal enforcement is often used as an excuse by national companies to discontinuing working with the cannabis industry. And considering that the Attorney General repealed the Cole Memo in January 2018, trepidation surrounding the industry has only increased. What is the industry's reaction? The cannabis industry has grown accustom to forced creativity in order to simply retain some semblance of normalcy in business. Typically, financial institutions acting as lenders require the purchase and sale be closed by a title company. The borrower has to negotiate a very unusual exception to close a bank-financed transaction outside of a title company. The good news is, as long as the real estate transaction doesn’t involve bank financing, law firms with real estate experience and licensed Limited Practice Officers (LPO) can close real estate transactions. JDSA is equipped to close real estate transactions that do not involve bank financing for cannabis businesses in Washington and Oregon. These transactions are forced to close without title insurance. Even though title companies have determined that closing real estate transactions for land that may be used for cannabis growing, processing or retail sale is too risky, JDSA is well-prepared to help ease some of the risk. We have successfully closed numerous cannabis real estate and/or cannabis business sales, drafted purchase and sale documents, issued settlement statements and recorded all the necessary transfer documents. Our JDSA real estate professionals, attorneys and LPOs perform county record searches, utilizing our 70+ years of real estate experience to best fit the cannabis industry member’s needs. If you should have questions or need legal assistance with a cannabis real estate transaction, contact Lindsey Weidenbach directly and read up on all the latest Cannabis topics on the JDSA Blog.